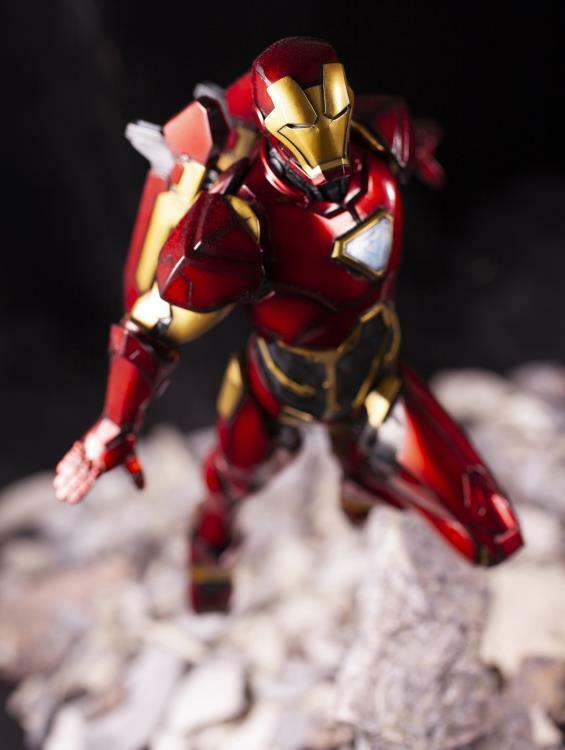 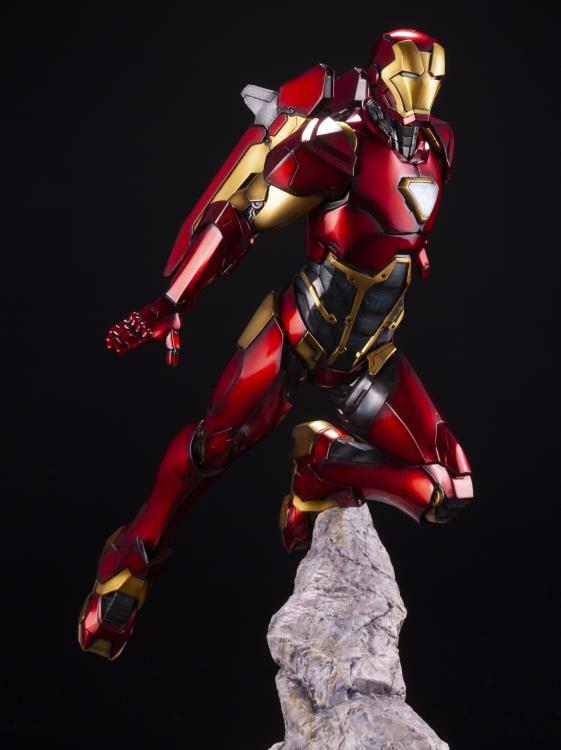 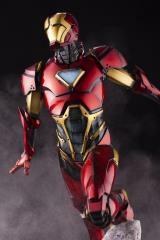 This limited edition statue is based on the Fresh Start series’ Tony Stark: Iron Man #1,and features a suit that's been painted with a new process that gives it a deep and highly refined appearance. In addition to the standard base color and coating, each individual panel is outlined with dark shading. 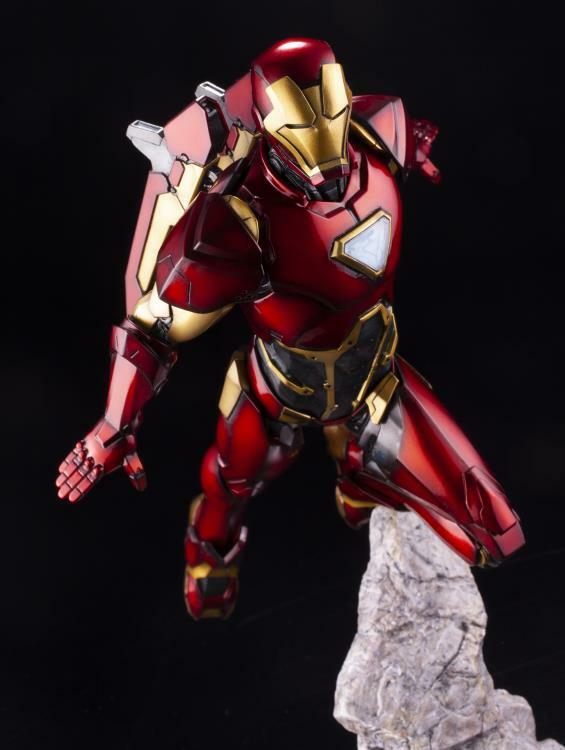 Combined with the glossy coating that catches the light beautifully, the contrast of the shading makes each piece of the armor pop and gives the statue a profound sense of depth. 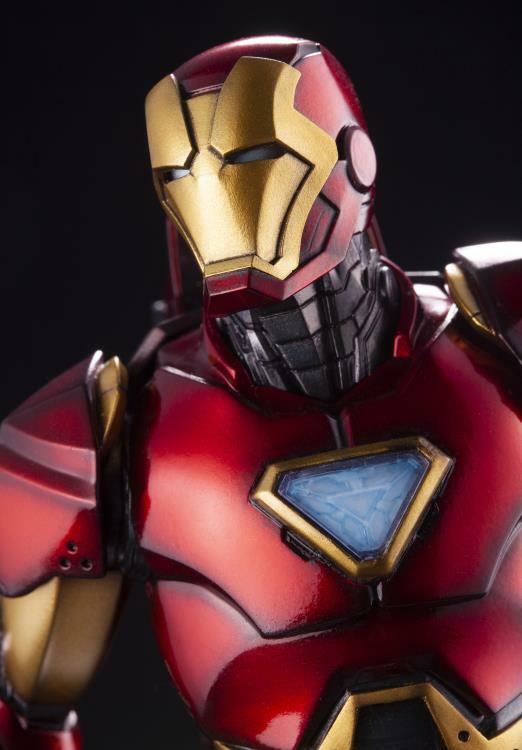 This 1/10 scale statue was crafted down to the finest detail using digital sculpting, giving this expertly crafted collector’s piece an exquisite appearance alongside lifelike detail. The sculpting of the Arc Reactor on the chest and the translucent panel on his abdomen show off the suit’s inner workings, adding another unique layer of beauty and detail to this one-of-a-kind piece. 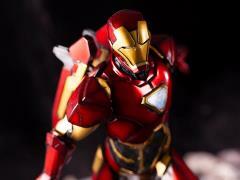 Iron Man’s dynamic posing can be interpreted differently depending on the angle from which it is viewed. 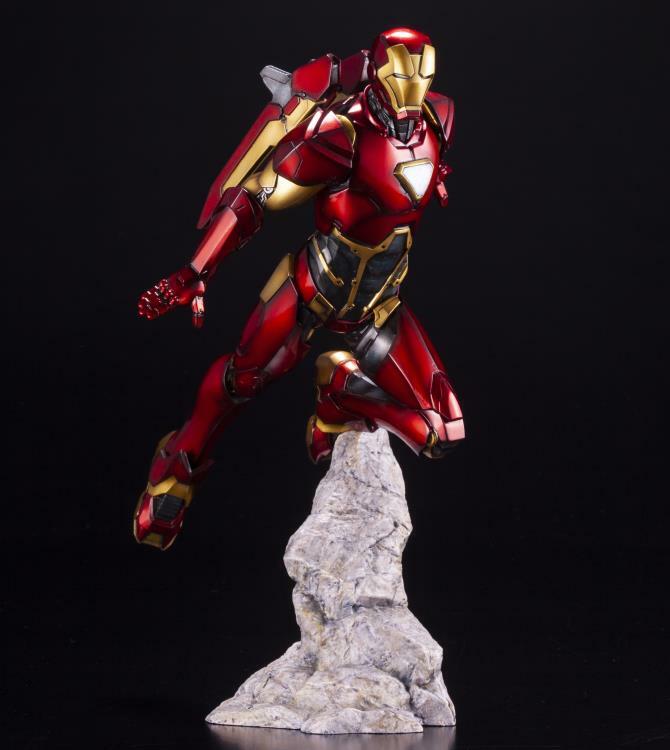 Whether he is flying through the sky at top speed or launching himself off a rocky outcropping to carry out heroic feats alongside his fellow Avengers, this stunning rendition of Tony Stark is sure to make its mark on your collection!